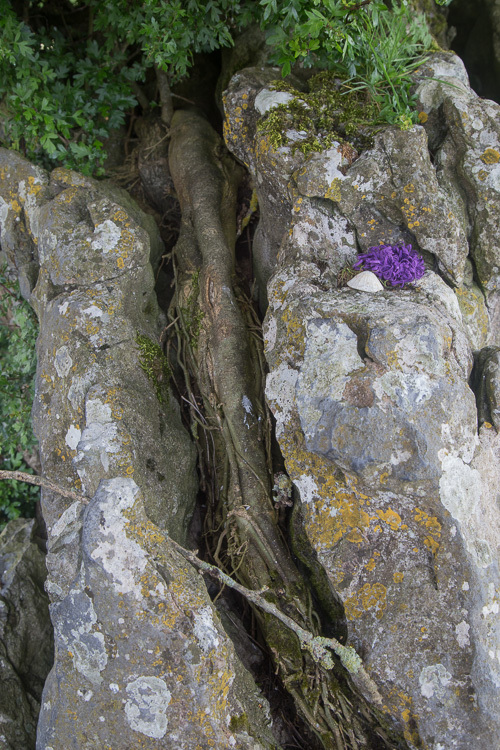 The fairy tree that split the rock at Grange Stone Circle II. 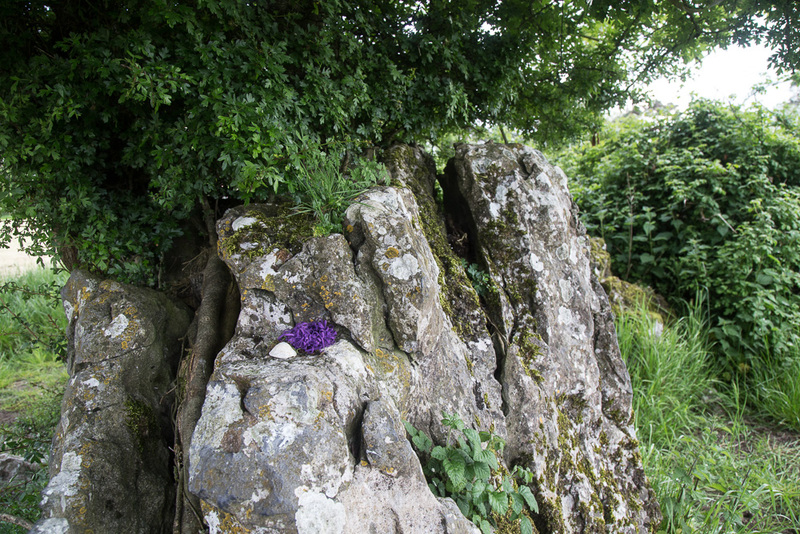 There is a fairy tree near the Grange Stone Circle has split on of the stone in two. 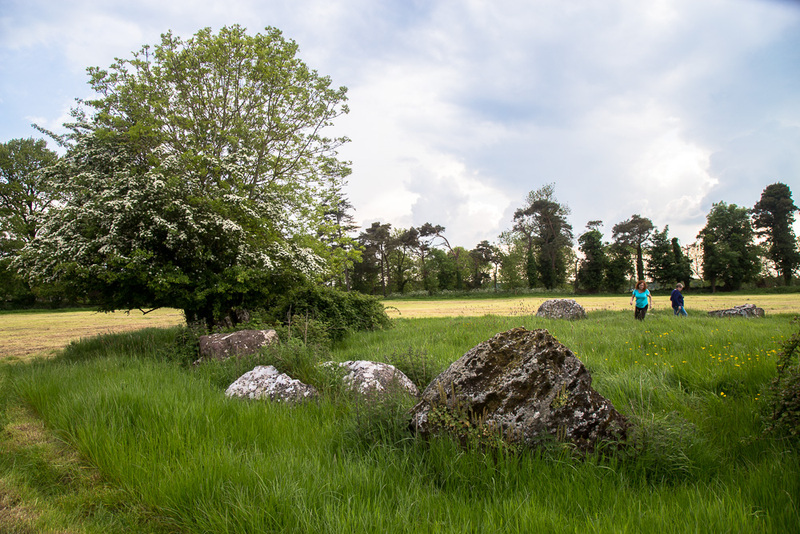 The Grange stone circle in County Limerick is the largest in Ireland with 113 upright stones 150 feet in diameter. Many people don’t know that there is a smaller circle in the field next to the big one. 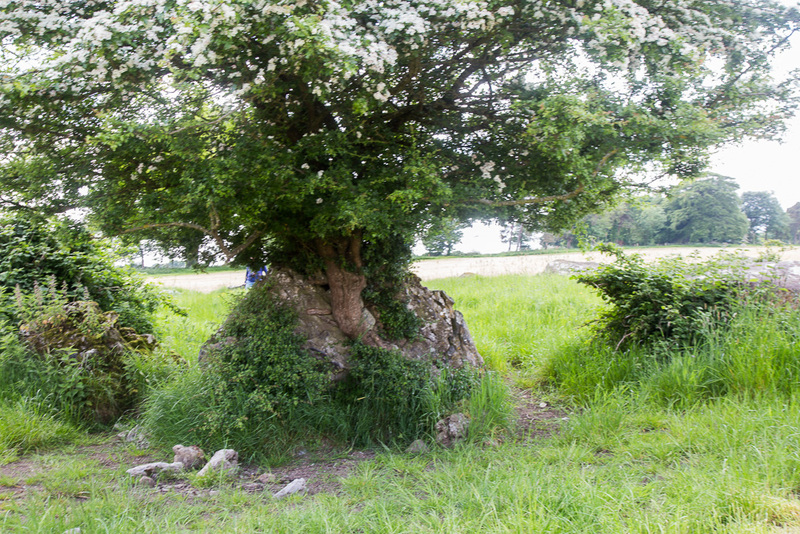 And in that circle, the largest stone has a hawthorn tree growing out of it. The tree has split the stone in two and managed to thrive quite well. Further out in the same field is a tall standing stone and the farmer says that there’s another standing stone behind that one several hundred meters, though it is not visible to the naked eye. The tree growing out of the rock is said to be a fairy tree or a mystical tree associated with elemental beings (non-human spirits) of another realm or world…. kind of a parallel universe. There are many traditional folk tales about the fairies and how they don’t like being disturbed… and if disturbed will bring bad luck. Most Irish people will dismiss these tales as pure superstition, but at the same time, they won’t disturb them. There is a respect for the mystical. People still come to this tree and circle and leave tokens of devotion. You can see the purple ribbon and sea shell on the stone in the photo above. 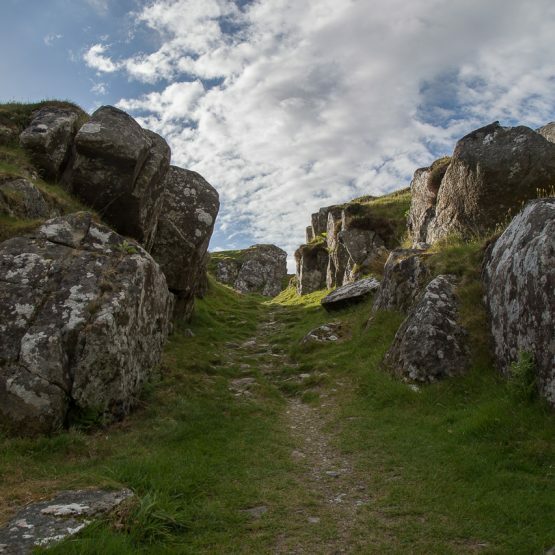 The entire region around the Grange and Lough Gur has an amazingly high energy vibration. I’ve taken groups there who have lost all sense of time in that place. 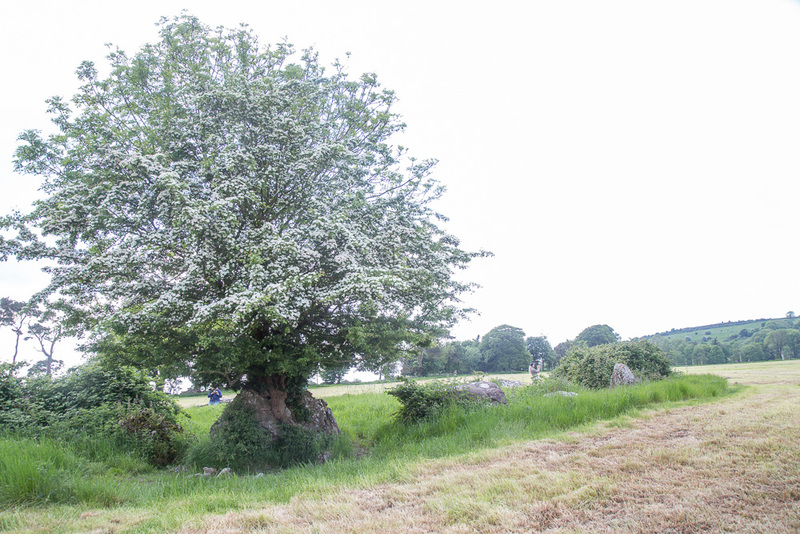 The Fairy Tree near the Grange Stone Circle and the surrounding sites are featured on the Places of Resurrection tour, Images in the Landscape Tour and Western Edges Tour.